This is the third and final piece in a three-part series on British medication use and regulation. Find Part 1 here and Part 2 here. 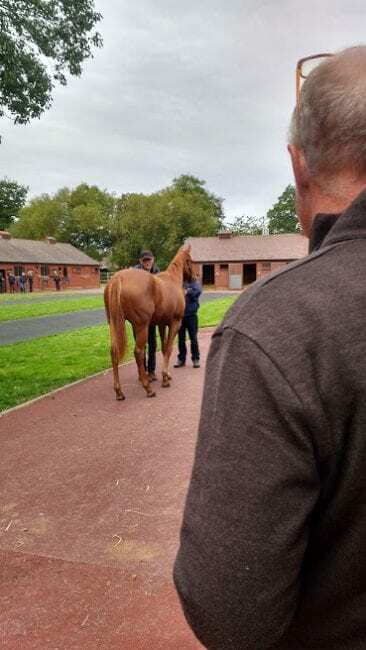 In the course of his usual morning rounds to the training yards around Newmarket in Suffolk, England, Dr. Mike Shepherd visits a horse who is scheduled to leave his trainer's private yard for a race in the evening of the next day. With the help of a groom, he runs a drip of IV electrolytes and vitamins into the horse's vein. Then, he ducks into the trainer's office to make a note of the administration, designed to offset the electrolytes lost in sweat, in the BHA-mandated logbook, including the date and time of the administration, and the reason for it. There are a couple of differences here to the pre-race routine for a Thoroughbred racing in the United States. The most obvious is the log book, which must be up-to-date with all medication records of any horse at any time, regardless of whether the horse is on track or in a training yard. 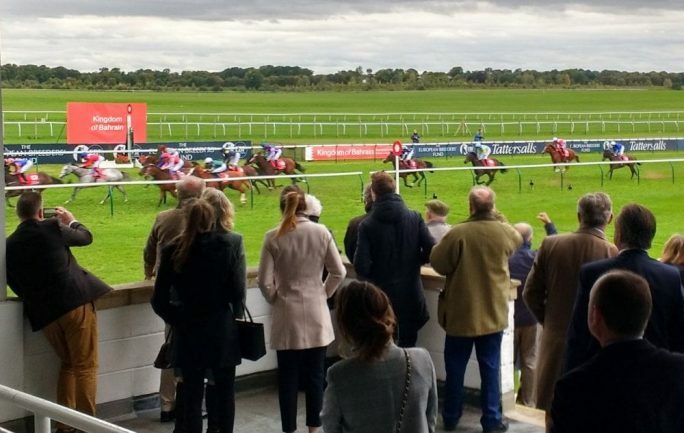 Shepherd said the British Horseracing Authority's right to check up on these logs is not a formality; the BHA can and does show up unexpectedly at training facilities and demand to see an assortment of log books. He's not sure if the inspections are random, or driven by tip-offs, and suspects the Authority would rather he not know. The other difference between the U.S. and the United Kingdom is what Shepherd is not giving the horse ahead of racing, on this or any of the previous several mornings earlier in the week: furosemide, anti-inflammatories, or other therapeutics. British medication policy has not altered drastically over the past several years, and according to at least some veterinarians there, medical professionals are not lobbying for any edits to the rulebook. For Barrelet, the difference between medication practice in the U.S. and England is as much philosophical as it is practical. “It's a different mindset, a different approach,” said Barrelet, who focuses on bloodstock, sport horse, and equine insurance practice. “The two-legged North Americans have the highest per-capita consumption of over-the-counter and prescribed drugs. I think that translates also in the way we treat our animals. How do you deal with lameness? Barrelet and Shepherd agree they prefer to bill a client for diagnostic services rather than take the 'treat and see' approach. 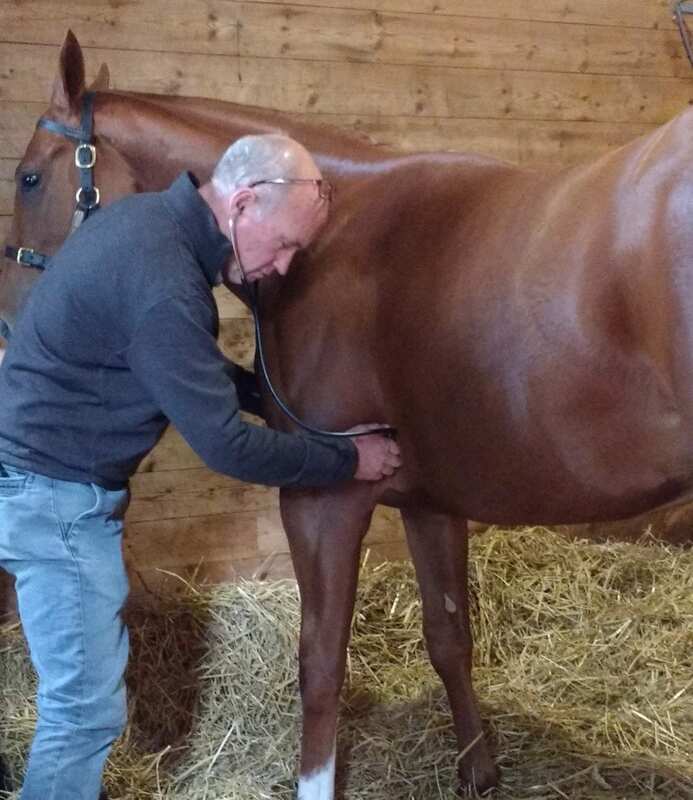 Although Shepherd, whose practice is split between racing horses and bloodstock, does make regular rounds to major trainers' barns each morning, he is not handed a list of treatments to perform at the trainer's demand. Some of his clients request he watch horses jog weekly to check for lameness, while he sees others as needed. Barrelet recommends clients build in at least one week between the last dose of a nonsteroidal anti-inflammatory and race time. For one gram of IV Bute, he estimates the closest someone could get, if they wanted to push the envelope, would be 72 hours before race time, but the official detection time is five days. For Barrelet and many other veterinarians, it's common practice to take the suggested cut-off time from the BHA and add a few days to it. But what about body soreness, an oft-cited reason by Americans for keeping nonsteroidals handy in the barn? “What is body soreness?” asked Barrelet. “It's probably under-training. If I'm sore all over my body and I've just done a few sprints, then I'm undertrained. So, is body soreness an excuse for poor fitness? For poor training methods? A horse in a barn today, if he gets out for 40 minutes, it's a lot. In the States, it's from the barn to a walker, throw a jockey aboard, spins around the track once or twice, or not even, comes back in off the hotwalker and back in the stall. That's not conditioning the horse. For Barrelet and Shepherd, exercise riders are one of a trainer's most important tools in detecting lameness, and in England that's a problem. As in the States, experienced help is hard to find as increasing urbanization has reduced the number of true horsemen willing to spend their days mucking stalls and riding in all weather. Pay for “work riders,” who are both grooms and exercise riders for the horses in their care, is poor. Stable help has become increasingly made up of immigrants, some of whom had the resources available to learn proper riding and handling techniques, some of whom did not. 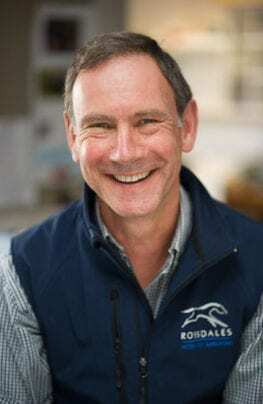 In North Yorkshire, England, Dr. John Martin, in-house veterinarian for top trainer Mark Johnston, concurred he spends more time diagnosing a horse's issues than medicating them, due to tight medication restrictions. Instead, Martin and Johnston rely on alternative therapies like swimming and an underwater walker to give a horse a break from intensive exercise. Martin does not believe British horses are inherently sounder than American horses. Due to the long withdrawal times, Martin doesn't rely on joint injections to address chronic knee inflammation. The minimum time between an intra-articular injection and race time is 16 days, but Martin said Johnston prefers to round up to 21 days. For Shepherd, the research is clear when it comes to the performance impacts of furosemide: it does help, but he's not sure whether it enhances a horse's finish beyond his normal, healthy limits, or if it enhances the horse's finish because it removes a pathological impediment. Regardless, his interest in medicating bleeders for major works is not performance in the work (British trainers do not typically clock horses anyway), but reducing the likelihood of damage to the lungs as a result of bleeding. He also doesn't see bleeding as a guaranteed performance inhibitor – it all depends on the severity. “A lot of horses will bleed quite well and still win a race. It doesn't necessarily stop them,” he said. Therapeutic drugs to prevent tying up have tripped up several trainers in the United States, but Martin said it's a condition he rarely sees in Johnston's horses. The condition, which is characterized by muscle stiffness and pain as a result of exercise, can be treated with management and nutrition changes as well as muscle relaxant. When Johnston does encounter a horse with the problem, he reworks the horse's routine and believes that sufficiently limits tying up episodes. Martin suspects this might be due to the horses' routines, which have them in some sort of work (intensity varies) six to seven days a week. Johnston is also not likely to medicate a horse for gastric ulcers, either, preferring to take a management approach to that problem, too. “Mark is a big skeptic about the significance of ulcers, to be honest,” said Martin. “One of Mark's theories which we use to address the issue is the horses are fed every six hours. We have someone here through the night to feed them. How does the international community really look at U.S. drug policies? The use of therapeutics and race-day furosemide has been a point of contention for years in the States, and for some hay/oats/water advocates, there is an impression the rest of the world looks sideways at American racing because of Lasix. Of the various British trainers, veterinarians, and bloodstock agents interviewed by the Paulick Report about drug policy in the United States, all of them said American medication use seems significantly greater than their own, and that does impact their view of the sport. Just as concerning as the use of race-day furosemide for many was the allowance of phenylbutazone and flunixin 36 to 24 hours out from a race. Shepherd recalled his first autumn working at a well-known public auction in the U.S., vetting horses for clients early in the morning, where he noticed several horses in different consignments with a drip of blood on their necks. 'That's the BBD,' he was told, and he didn't think much about it. Eventually, he learned 'BBD' stood for a syringe containing anti-inflammatories Bute, Banamine (the brand name of flunixin), and dexamethasone, and at the consignments he had visited, the injection was part of the daily routine. Although that was years ago now, the experience has stuck with him. 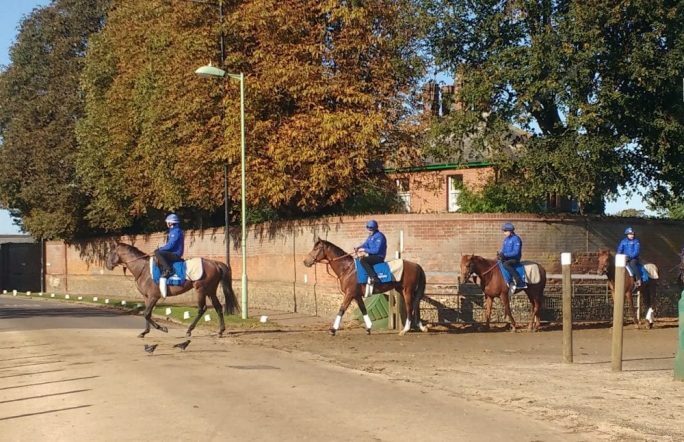 As Shepherd told this story stallside at Tattersalls in Newmarket during its October Sale of yearlings, a nearby horse handler widened her eyes in horror. Barrelet and Shepherd are both quick to acknowledge there are many American trainers and racetrack practitioners who do not reach for a syringe at every available opportunity and who advocate for proper diagnostics before treatment. Conversely, Martin emphasized he is aware of colleagues in England who are more willing than he is to lean on pharmaceutical solutions to horses' chronic problems. Barrelet believes the difficulty in the racing and bloodstock world is that no outsider really knows which horses have been handled in which way. His experience vetting horses at American auctions suggests there is still interest in American yearlings at middling price points where English buyers can make money pinhooking, but they are less interested in spending big money on horses because they're not sure how much familial resumes have been enhanced by therapeutic drugs. At the same time, he echoed the sentiment of Johnston by pointing out British racing is not anti-medication, just anti-raceday medication, and he believes that is an attitude American racing could adopt, too. “I know the big debate in the States is can we run horses without medication. We seem to be doing quite well over here,” Barrelet said. “We don't run them without drugs, just without raceday medications. They're clean on race day within protection limits. Those times within forensic value are pretty well defined and from a pharmacological value are pretty well defined. This entry was posted in NL Article, Ray's Paddock and tagged British Horseracing Authority, British racing, Dr. Frederic Barrelet, dr. john martin, Dr. Mike Shepherd, drugs in racing, Mark Johnston, Newmarket, Rossdales by Natalie Voss. Bookmark the permalink.